The East End Danforth neighbourhood is bordered by Leslieville, Greek Town and Kingston Road. It’s a lively place with a strong community feel, emphasized by an abundance of family-owned businesses. The area is popular among commuters who work downtown, offering cheaper accommodations than what’s typically found in the city centre. It also accommodates families of varying sizes, with a mix of detached, semi-detached and high-rise housing. Though it’s not as flush with amenities as the Downtown Core, East End Danforth offers a decidedly more laid back atmosphere, while still giving the locals plenty to do. Residents of the East End Danforth enjoy some of the city’s best Greek, Chinese and Indian food, as well as some charming nightlife venues. Locals of this community also have premiere access to some of Toronto’s most popular waterfront on Lake Ontario, with Woodbine Beach just a short distance to the south. 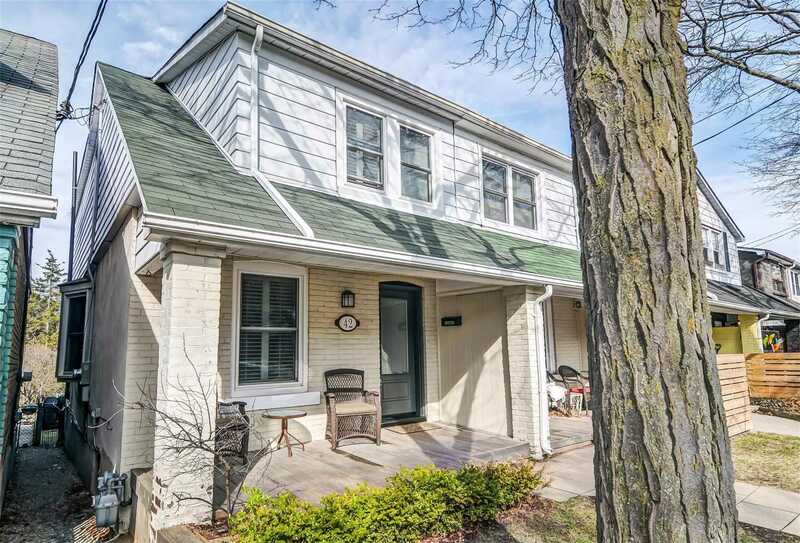 East End Danforth is a community unto itself, with immediate access to amenities of all types. A litany of health services, restaurants, grocery stores, markets and entertainment venues earn the area a Walk Score of 85/100. For connectivity to other parts of the city, the area has a Transit Score of 89/100 thanks to the Bloor subway line, which residents can access from Coxwell, Woodbine and Main stations. The Danforth GO terminal gives the locals another way to travel, while TTC buses provide the main mode of transport for north-south travel, including to the Beaches of Lake Ontario. Motorists can use Danforth Avenue for an easy route downtown, and are just 15 minutes from the Don Valley Parkway and Lake Shore Boulevard for longer distance travel. Who lives in East End Danforth? 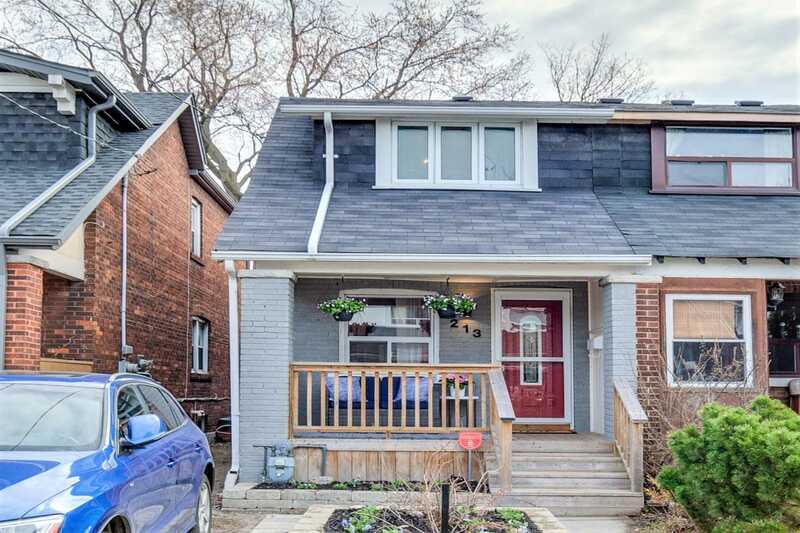 Many residents in the neighbourhood boast deep roots in the area, while many others are arrivals from the last decade - those who were able to enter the housing market while the East End was comparatively cheap. The recent uptick in interest has precipitated the development of several new condo buildings, which has infused the area with a smattering of young professionals that complement the families and older residents who have lived in East End Danforth for years. The following data was obtained from the 2016 East End Danforth neighbourhood census profile, and the City of Toronto Ward 32 profile. Average prices are determined by the realestatecondos.ca listings. Retail hotspots flank both Danforth Avenue and Kingston Road, featuring an array of small grocers and boutique stores. Whether you’re looking for old records, handmade jewellery or any sort of odds and ends, you’ll find it on one of these two streets. Foodies will love all the local groceries, like Courage Foods on Kingston, which offers locally sourced produce, pantry items and baked goods made in store. More traditional options include a Loblaws just north of the Danforth, which will fill the gaps left by the specialty shops. Music lovers, meanwhile, can browse the wares of Beach Sound Records - a small shop jam-packed with an impressive selection of records. The store also sells classic videotapes and pre-loved music for those who want to really embrace the vintage. Fashionistas can similarly whet their East End appetite by visiting eclectic boutiques like El Pipil and Parade on the Danforth. East End Danforth offers some of the best Greek food in the city, while Kingston Road has become something of a hotbed for bakeries and cafes. The Porch Light is one of Kingston Road’s best. It offers coffee, snacks and full lunches, before transitioning into a licenced bar at night. The New York Cafe offers some brunch favourites with a neighbourhood-twist, and just around the corner, Old Nick plates up your standard comfort pub grub. Bodega Henriette is another local favourite. This quirky restaurant-meets-bar-meets-cafe-meets-convenience store starts the day with a delicious brunch, and stays open most evenings until midnight. Other options include the Caribbean at Cool Runnings on nearby Main Street, and The Green Dragon on Kingston, which is a favourite post-work watering hole for locals. Of course, the area’s culinary character is defined primarily by its Greek roots. Both greasy spoons and fine dining establishments serve up warm pita bread, mouth-watering souvlaki and flaky spanakopita, among other traditional favourites. Little India is also close by, giving residents access to another pillar of Toronto's food scene. There’s a little bit of everything in East End Danforth, including the beach at Ashbridges Bay, shopping on Queen East, and the colourful festivals that frequently take over both Greektown and Little India. The Danforth Music Hall, meanwhile, provides a great venue for music and comedy shows. If you’re a fitness fanatic, Main Fitness is a general gym in the Upper Beaches that offers over 60 classes a week, including yoga, cycling, pilates, strength training and bootcamps. The Earl Beattie Community Centre, just north of the Danforth, has an indoor swimming pool and a gymnasium open to the public, so you’ve got some options. College and university students have a little further to go to get to the smattering of campuses around the city, and will require the use of a vehicle or transit to make the trip quickly. The East End Danforth is a nature-lover’s dream, thanks to its proximity to a variety of parks and green spaces. Residents can take a refreshing break from city life at Monarch Park, just south of the Danforth between Coxwell and Greenwood. This five-hectare park is home to an off-leash dog area, an outdoor pool, a children’s playground and a small wading pool. And you can even enjoy it during the colder months, when an artificial ice rink becomes operational. At Gerrard and Main Street sits the East Toronto Athletic Field, an area that encompasses a number of sports fields, and sits opposite the Ted Reeve Indoor Hockey Arena. Additionally, the neighbourhood is just a short journey to beautiful Riverdale Park, which has one of the best views of the downtown skyline in Toronto's east end.